Why have 3D Shockwave treatment at Therapy House? 3D Shockwave is a powerful and effective treatment in reducing cellulite, tightening and firming as well as smoothing of the skin. 3D-shockwave can be used as a standalone application or in conjunction with other fat removal or skin tightening treatments to accelerate results. As a standalone application the focus is generally on improving the skin structure and connective tissue. Typical treatment areas are cellulite, connective tissue weakness (upper arm, under abdomen etc) and stretch marks. The high energy radial shockwaves squeeze the surrounding tissue and breaks down the grid structure of the molecules. The tensile wave leads to a collapse of the gas bubbles within the fat structures ( Cavitation ) which re-expand after the high energy radial shockwaves and thus ensure destabilisation of the fat structures. Research has suggested pressure or acoustic waves are effective in disrupting the sclerotic fibrous tissue septae responsible for much of the uneven appearance of cellulite. While Shockwave is no substitute for exercise and a healthy diet, it can help if you have stubborn pockets of cellulite that refuse to go away. Will Shockwave help me lose weight? Shockwave is not a procedure specifically suitable for losing weight. However, as a body-sculpting technique it is highly effective. 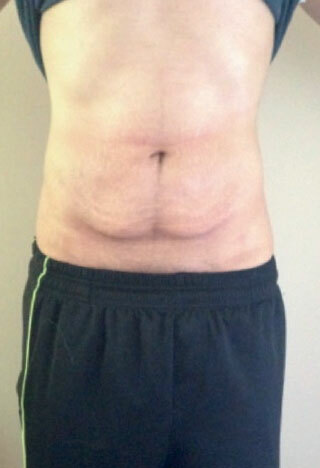 There are many reported examples where patients have received Shockwave and have seen circumference reduction in the areas treated coupled with overall weight loss. More research will be carried out to explore this further. As such, Shockwave is not suitable for the treatment of clinically obese patients however it can be useful for anyone looking to kick start a body contouring programme. What results can I expect from Shockwave? If you exercise and increase how much water you drink you may see even better results. 90% of women who took part in a clinical study would recommend this treatment. Our experienced therapists will be able to tailor an individual Shockwave treatment plan to meet your desired goal. What areas can be improved by Shockwave? A course of treatment is typically 8 individual 30-60 minute sessions and results are seen as quickly as 2 weeks after starting the course (can have upto 3 sessions per week). Our experienced therapists will be able to tailor an individual Shockwave treatment plan to meet your desired goal. It is non-invasive, pain free with no downtime. Want to know more about 3D Shockwave?